Please join us in congratulations to Dr. Teofil Kulyk of Plant City. He is now the proud winner of the 2019 Corvette Z06!! Thank you to all participants, volunteers and just all around great people at this year’s Strawberry Festival!! All proceeds of the raffle will go to Unity in the Community! 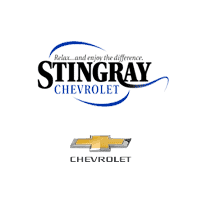 Thank you for making this another successful Stingray Chevrolet community event!! At Stingray Chevrolet: Stop by our dealership at 2002 North Frontage Rd. in Plant City, FL until 6pm EST Friday, 3/8/19. At the Florida Strawberry Festival: Visit the Florida Strawberry Festival – February 28, 2019 – March 10, 2019 during hours of operation up to 4:30pm EDT 3/10/19. Online: Until 3PM EST Friday, March 8, 2019, and receive your receipt within 5 minutes via email. NOTE: Online order receipts and tickets from online orders are not mailed. You will receive an e-mail confirmation for your records. Tickets are processed with the entry name and phone number you provide and placed in the secure receptacle prior to the drawing. All entries received before the drawing deadline(s) will be entered. Online tickets have a “one-time” $2.00 processing fee no matter the amount of tickets requested. This fee offsets the cost of processing tickets – Stingray Chevrolet does not profit from the raffle. Please note that during the drawing we call names and phone number, not ticket numbers. Winners need not be present to win and will be notified by phone if their name is drawn. What Cause Will the Raffle Support? 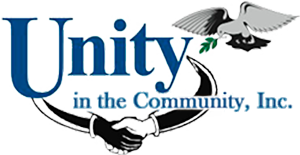 Community Service Scholarships: Students graduating from Simmons Career Center and planning to attend community college or university are eligible to receive one of twenty scholarships worth $1,000. Backpacks for Needy Students: Not every family has the means to provide their students with the supplies they need to be successful in school. Unity in the Community fills backpacks with necessary school supplies for donation to local schools in need. Local Food Banks: Cash donations help local food banks provide nonperishable foods to local residents in Lakeland, Valrico, and Plant City who might otherwise go without a nutritious meal. These are only a few of the many causes Unity in the Community has been proud to serve over the years. The Stingray raffle helps to provide necessary funding that allows them to do much more for those who have less. What is the Florida Strawberry Festival? How Does the 2019 Chevrolet Z06 Change Up the Formula?